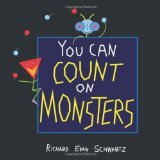 Our kids totally love the maths stories in the Penrose series which introduce a lot of complicated maths concepts in an engaging and fun way. This is a fantastic visual representation of factors and primes and is an awesome reference book. It would be great for a visual learner who loves colours and patterns. 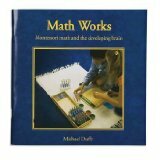 Math Works: Montessori Math And The Developing Brain by Michael Duffy.